I’m not a big reader, but I love books. Reading has always been a bit of a struggle for me and I need absolute silence to focus. Even then sometimes I still have to re-read things several times in order to process the information. If there are lots of images and diagrams then great, but the second I see page after page of solid text things start to run together. 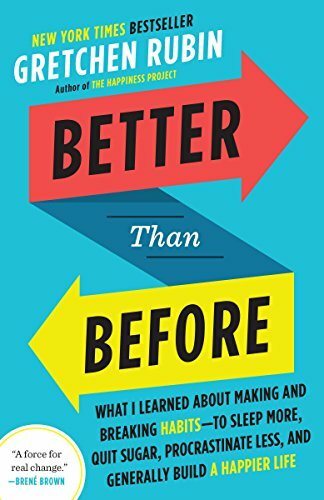 I’m a maker, so the easiest way for me to learn by doing, which is why it's always been hard for me to learn anything from a book. Despite this one of my goals for this year is to read a chapter or article every morning. The first few months I used this to catch up on all the poor National Geographics that had been long abandoned on my reading nook table. By the time I finished those it was already summer, so I decided to go old school and make myself an official reading list. A little extra motivation in the form of a book list was just what I needed to finally get into the habit of reading, there's nothing more satisfying than checking titles off a list and not having to think about which book to crack open next. Read on to discover which the topic and books I chose for my summer list, then see which ones I'm considering adding to my list for the fall. Creativity and habit building were the motivating factor behind the books I curated for my summer reading list. The creative process has always been a topic I’ve been interested in and over the past several years between studio work and teaching I've formed a lot of my own thoughts and observations. Habit building is something I became interested in recently because for the first time in a long time I'll have several solid days devoted to studio work. For years I’ve been squeezing studio time into the odd windows between teaching classes and now that most of my weekdays are becoming devoted to studio I get to make my own schedule, which can be both a good and a bad thing. 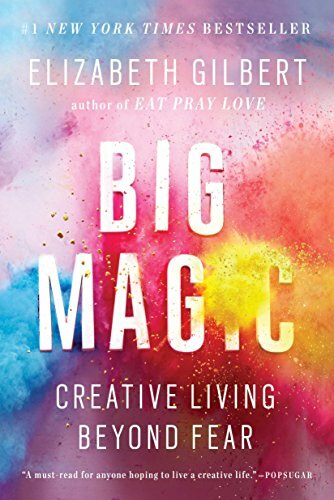 This made me interested in seeing how other creatives approach structuring their days, so it made senes to build my summer reading list around both creativity and habit building. Thoughts // If you want a book that makes you feel like you’ve accomplished reading something in a short amount of time, while also being chock full of solid advice, this is it. I “amen-ed” to half of the book, because Kleon is often saying things I find myself saying to my design and drawing students. It's so easy to get caught up in trying to be original or cool and young artists often forget that what really makes them unique is their own life and unique mix of influences. 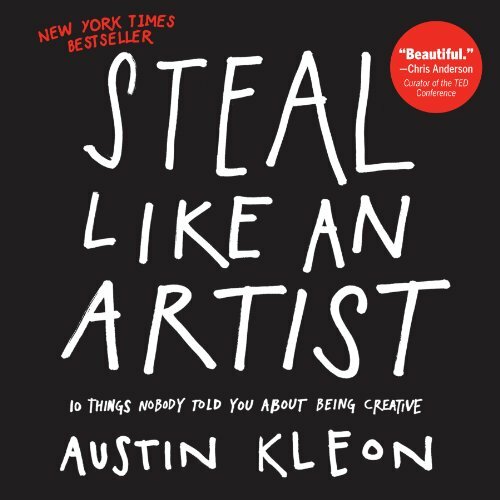 Kleon gets this and I really think every freshman art student should be required to read Steal Like an Artist. Personally I think it would take a lot of the anxiety out of the creative process and head off some of the blatant copycatting running rampant in the arts and social media. It's also a good read for veteran artists in that it serves as a reminder to get back to the basics of why we love to do what we do. Steal Like an Artist cuts a lot of the fluff that other similar books before it have relied on and could easily be considered an updated, clearer and more concise version of the classic Art & Fear. 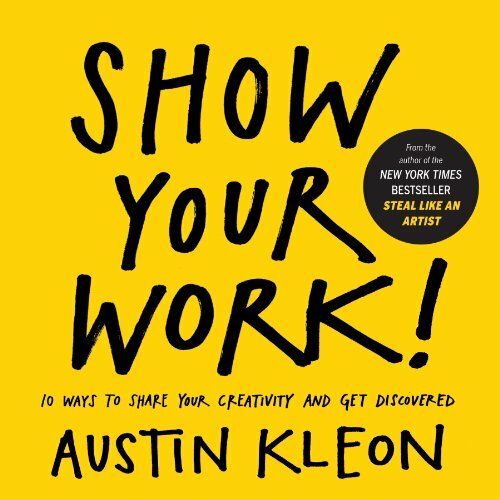 Thoughts // Since I enjoyed Steal Like an Artist so much, I went ahead and bought the follow up book, Show Your Work. Kleon's second book creates the essential road map for getting your work out there into the universe. The internet has drastically changed the way that artists can interact with potential clients/collectors and Kleon paints an accurate picture of the opportunities and pressures that come along with creating anything in the digital age. There's a lot of subtle branding advice and also some great online professional practices for creatives throughout the book. He also touches on everything from idea generation to sharing your work and offers insight on how to make genuine connections by becoming the purveyor of your own story. Most importantly though, he discusses why it's finally time to kick the old school notion of "selling out" to the curb, emphasizing that we shouldn't be perpetuating the starving artist narrative any further than it's already gone, one thing that I agree with 100%. Overall this paired with his first book, Steal Like An Artist, are a great introduction to what it's like living and working as a creative in the internet age. Thoughts // Knowing yourself and your habits are half the battle and Gretchen Rubin gets it. I can honestly say I learned a lot about the way I operate and do certain things from this book. Rubin has a sense of genuine curiosity and a nice writing style that makes Better Than Before such an interesting read. One of the ideas I was especially keen on was the notion that "habits are the architecture of daily life," especially as they can easily make or break your day. As someone that constantly has 50,000 things running through their mind at any given moment, I find that having structure helps keep me from getting distracted and lets me focus on the important things. I also loved the idea of the "power hour" where you do all of the tasks you've been putting off throughout the week. I now do this on Friday afternoons, by organizing my to-do list, zeroing out my inbox and cleaning up my studio space for the following week. This helps me tie up any loose ends and be able to relax, enjoy the weekend and know exactly what I need to focus on the next. My biggest critique of the book is actually the four Tendencies. They are a bit hard to follow for people that don't 100% fit into that framework and there are a lot of extra subsets to these Tendencies that can get confusing. I'm still not sure exactly which framework I fall into and think her "Distinctions" are a lot easier to work from in terms of habit building. Regardless I still gained a lot of valuable tips and tricks from the book that have helped me refine my daily routine and would definitely recommend this book for anyone in charge of their own schedule. Thoughts // I won't lie, I have mixed emotions on this one. This might be the most over-hyped book on the list and I'm not quite sure it lived up to my expectations. Don't get me wrong, the book is beautifully written, has lot of interesting personal stories and delves into the insecurities of the creative mind, but I felt like there was something missing that I still can't quite put my finger on. What I did enjoy was how Gilbert denounces some of the unrealistic representations associated with living life as a creative and that she advocates not being a martyr for your art. Her discussion on crafting your own education and the fact that you never really stop learning was especially on point as well. On the flip side there's a lot going on in this book and it's not all cohesive. There were some contradictory parts and a few chapters ending up reading more like a self help book than an exploration of creativity. Gilbert also talks about the idea of creativity in almost religious terms and when it came to the discussion of independent idea spirits floating around from person to person she started to lose me. I'm a believer that ideas come from living your life and being inspired by what you do on a daily basis kind of person, not a divine inspiration kind of person...but hey, to each their own. Overall there were some really great sentiments in the book, but I found that it was ultimately geared more towards novices. If you feel like you need a "permission slip" or don't have the courage to create something on your own, then this is the book for you. The rest of us will just get to work. Have you read any of these books? If so I'd love to hear what you thoughts on them. My fall reading list will be going up towards the end of November, this way I have time to actually read the books and give my thoughts on them. You can find out what I'm currently reading over on my Instagram Stories and see the books on my wishlist here, that way if you want to read along with me you can. The books on this list will most likely continue exploring the various aspects of creativity, currently I'm eyeing up: Daily Rituals: How Artists Work by Mason Currey, Flow by Mihaly Csikszentmihalyi, The Creative Habit by Twyla Tharp, Living a Creative Life by Sharon Louden and then I'll be going a little old school by re-reading The Artist's Way by Julia Cameron. If you have any suggestions for what to read next or any other good books on creativity let me know in the comments below! This content uses Amazon affiliate referral links. Please read my disclosure policy for more info.